A ship built, converted, or equipped specially or solely with a view to assisting, treating, and transporting the wounded, sick, and shipwrecked. In case of international armed conflict, its name and description must be notified to the parties to the conflict ten days before it is employed. It may not be attacked or captured and must be respected and protected. The religious and medical personnel and crew of hospital ships have a right to the same protection. 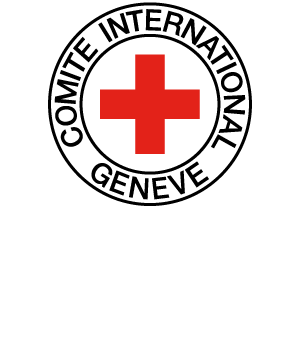 The distinctive sign for the protection of hospital ships is the emblem of the red cross, red crescent or red crystal on a white ground. The lifeboats and coastal lifeboats of hospital ships are treated in the same way as hospital ships. So, as far as possible, are the sick-bays of a warship. Hospital ships are bound to afford relief and assistance to the wounded, sick and shipwrecked without distinction of nationality. The parties to the conflict have the right to stop and visit hospital ships in accordance with precise regulations. Any warship belonging to a belligerent may demand, on certain conditions, that sick, wounded or shipwrecked persons on board a hospital ship shall be handed over. JUNOD Sylvie S., Protection of the Victims of Armed Conflict Falkland-Malvinas Islands(1982): International Humanitarian Law and Humanitarian Action, Geneva, ICRC, 1985, 45 pp.